It is time to go to the next level, where we focus on developing the humanoid genetics. Those of the original humans who took part in the Sirian Workstations were scattered like the humanoid races taking part of the workstations and the original human form got lost in the timeline event. Because of this we cannot exclude the work of developing the humanoid genetics, repair them and in this gather the fragments of the Sirian Workstation humanoids and original humans, as well as restoring these back to the plasma forms we had as part of the Sirian Workstations. This book continues where we left of in the Souls of Humanity. 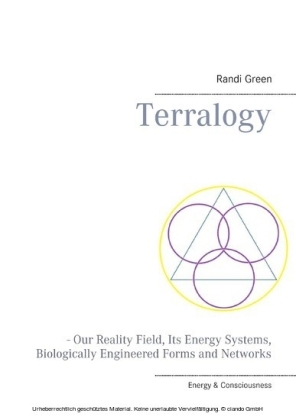 It goes into the details of the level one energy system, the construction of the chakra system, eating habits, emotions and much more as well as gives inspiration to the advanced energy work, which will activate the stellar genetics. The information and illustrations in Terralogy completes the history unfolded in the Souls of Humanity.